In this episode: Janet responds to a mom who says her 2-year-old has an extreme case of “parental favoritism.” When she’s not home, father and daughter enjoy a wonderful relationship. But if she’s nearby, her daughter “refuses to allow my husband to help, comfort, even exist.” She writes: “We are completely befuddled, and as you can imagine, my husband is just crushed.” They’re both wondering why their daughter behaves this way and how they might address it. For more advice on common parenting issues, please check out Janet's best-selling books on audio, FREE with a 30-day trial membership at Audible (adbl.co/2OBVztZ). Also, her exclusive audio series "Sessions" is available for download. This is a collection of recorded one-on-one consultations with parents discussing their most immediate and pressing concerns (www.SessionsAudio.com). In this episode: Janet responds to the parent of a toddler who says her son “cries, whines, and screams for everything he wants or needs.” She’s not sure how to respond. Sometimes she tries to calm him down, which tends to makes things worse, and sometimes she just gives in. She wants to set boundaries but doesn’t know how to do it in a way that he will understand without setting off a tantrum. This mom feels she’s in a no-win situation and would like Janet's advice about how she should react to his loud, emphatic requests. For more advice on common parenting issues, please check out Janet's best-selling books on audio, FREE with a 30-day trial membership at Audible (adbl.co/2OBVztZ). Also, her exclusive audio series "Sessions" is available for download. This is a collection of recorded one-on-one consultations with parents discussing their most immediate and pressing concerns (www.SessionsAudio.com). In this episode: Janet offers solutions for handling the disconnect parents sometimes feel with friends, relatives or caregivers who aren’t familiar with their respectful parenting philosophy. How can we communicate our respectful care practices and advocate for our children while avoiding awkward social exchanges, misunderstandings or hurt feelings? For more advice on common parenting issues, please check out Janet's best-selling books on audio, FREE with a 30-day trial membership at Audible (adbl.co/2OBVztZ). Also, her exclusive audio series "Sessions" is available for download. This is a collection of recorded one-on-one consultations with parents discussing their most immediate and pressing concerns (www.SessionsAudio.com). In this episode: Janet responds to an email from a parent who feels her son is constantly competing to be “first, better, stronger.” She suspects that sometimes his hyper-competitiveness may hurt his friends’ feelings, and it makes her uncomfortable when she notices the reactions of parents and other kids. “I’m really struggling with how to respond to these situations,” she says. “I don’t want my child making others feel crappy about themselves.” For more advice on common parenting issues, please check out Janet's best-selling books on audio, FREE with a 30-day trial membership at Audible (adbl.co/2OBVztZ). Also, her exclusive audio series "Sessions" is available for download. This is a collection of recorded one-on-one consultations with parents discussing their most immediate and pressing concerns (www.SessionsAudio.com). In this episode: Janet responds to a parent who says she tries to create safe spaces for her 7-month-old to explore, but she spends a lot of time at her parents’ house and feels they’re always on edge, telling her daughter “no.” This mom wants to avoid “creating issues or desensitizing her to the word” and is hoping Janet has suggestions how to encourage her daughter’s curiosity while keeping her safe. For more advice on common parenting issues, please check out Janet's best-selling books on audio, FREE with a 30-day trial membership at Audible (adbl.co/2OBVztZ). Also, her exclusive audio series "Sessions" is available for download. This is a collection of recorded one-on-one consultations with parents discussing their most immediate and pressing concerns (www.SessionsAudio.com). In this episode: Janet responds to an e-mail from a parent who says her 4-year-old has lately become very demanding for attention. “She won’t let us talk with friends, family, or over the phone. It has to be about her all the time.” She is also being defiant, especially in public, and ends up crying when she doesn’t get her way. This mom feels her friends and family have cast her as a ‘bad mom’ and wants Janet’s advice about “how to stop this excessive attention seeking, defiant behavior.” For more advice on common parenting issues, please check out Janet's best-selling books on audio, FREE with a 30-day trial membership at Audible (adbl.co/2OBVztZ). Also, her exclusive audio series "Sessions" is available for download. This is a collection of recorded one-on-one consultations with parents discussing their most immediate and pressing concerns (www.SessionsAudio.com). In this episode: A mom writes that her toddler weaned at 3 years old, but six months later he remains “obsessed with my breasts.” He pokes and squeezes and smushes his face into them. She has tried to give him the message that this is not okay while also trying to be understanding, but he’s getting rougher, and she’s had enough. “This is not fun.” For more advice on common parenting issues, please check out Janet's best-selling books on audio, FREE with a 30-day trial membership at Audible (adbl.co/2OBVztZ). Also, her exclusive audio series "Sessions" is available for download. This is a collection of recorded one-on-one consultations with parents discussing their most immediate and pressing concerns (www.SessionsAudio.com). In this episode: Janet offers feedback to a parent who’s having a disagreement with his spouse about how to respond to their 5-month-old's babbling, which includes "high-pitched coos and zerberts and yelps.” Both parents want to encourage their daughter's communication, and this dad exclaims, "We need a decider!" For more advice on common parenting issues, please check out Janet's best-selling books on audio, FREE with a 30-day trial membership at Audible (adbl.co/2OBVztZ). Also, her exclusive audio series "Sessions" is available for download. This is a collection of recorded one-on-one consultations with parents discussing their most immediate and pressing concerns (www.SessionsAudio.com). In this episode: Janet responds to a parent who writes that her 3-year-old son has very strong opinions about her appearance, especially hair and clothing choices. He gets furious when she puts her hair up in a ponytail or bun, and if she defies him, it leads to “epic tantrums and standoffs.” This mom realizes her son’s controlling attitude is probably part of a larger issue and points out, “He has zero opinions about what his dad wears.” She’s hoping Janet has some insight into this frustrating dynamic with her son. For more advice on common parenting issues, please check out Janet's best-selling books on audio, FREE with a 30-day trial membership at Audible (adbl.co/2OBVztZ). Also, her exclusive audio series "Sessions" is available for download. This is a collection of recorded one-on-one consultations with parents discussing their most immediate and pressing concerns (www.SessionsAudio.com). In this episode: A parent writes that she and her 2-year-old son recently moved in with relatives to escape domestic violence. She describes her son as “a very sweet, empathetic boy,” and says that he has formed good relationships with his relatives. Lately, however, his behavior towards them has changed. “He will punch, hit, and bite” without warning and tells his mother that “he wants to make them sad.” She has tried to explain that this behavior isn't okay, and he agrees, but it inevitably happens again. She doesn’t know what to do and is looking to Janet for some advice. For more advice on common parenting issues, please check out Janet's best-selling books on audio, FREE with a 30-day trial membership at Audible (adbl.co/2OBVztZ). Also, her exclusive audio series "Sessions" is available for download. This is a collection of recorded one-on-one consultations with parents discussing their most immediate and pressing concerns (www.SessionsAudio.com). In this episode: Janet responds to an email from a parent who’s struggling with how to start setting limits with her 15-month-old. She says she wants to “parent with respect, with a gentle approach and natural consequences,” but her daughter’s constant testing has her feeling exhausted. “And I know the hard stuff is only beginning!” This mom suspects she should have started establishing limits when her daughter was younger, but she’s hoping Janet has some strategies and advice on how to proceed now. For more advice on common parenting issues, please check out Janet's best-selling books on audio, FREE with a 30-day trial membership at Audible (adbl.co/2OBVztZ). Also, her exclusive audio series "Sessions" is available for download. This is a collection of recorded one-on-one consultations with parents discussing their most immediate and pressing concerns (SessionsAudio.com). In this episode: A mother of two (3 and 5 years old) writes that she became a parent “with every intention of validating my children’s emotions and teaching them emotional expression.” Now she feels that perhaps her good intentions have backfired, and that her children’s whining and crying aren’t always genuine but may instead be an act. She says, “It’s as if they play the dramatic role for me, but they can just as quickly shift out of it.” She’s wondering if Janet has any insight into this dynamic, and especially how she can improve it. For more advice on common parenting issues, please check out Janet's best-selling books on audio, FREE with a 30-day trial membership at Audible (adbl.co/2OBVztZ). Also, her exclusive audio series "Sessions" is available for download. This is a collection of recorded one-on-one consultations with parents discussing their most immediate and pressing concerns (www.SessionsAudio.com). In this episode: Janet responds to a question from a parent who’s saddened that her 4-year-old is showing signs of general anxiety. “I’m seeing a pattern of scouting for danger instead of just letting loose and having fun,” she says. She also recognizes this tendency in herself. This mom is wondering if her daughter’s disposition is inherited or learned by modeling, and if there’s anything she could be doing differently. For more advice on common parenting issues, please check out Janet's best-selling books on audio, FREE with a 30-day trial membership at Audible (adbl.co/2OBVztZ). Also, her exclusive audio series "Sessions" is available for download. This is a collection of recorded one-on-one consultations with parents discussing their most immediate and pressing concerns (SessionsAudio.com). In this episode: Janet speaks with author Maggie Dent about her newest book “Mothering Our Boys” in which she focuses on the common perceptions and misconceptions we hold about boys. Maggie speaks eloquently about the innate differences between little boys and girls, and how those differences often negatively inform our attitudes and expectations. Maggie is a prolific parenting author and educator who advocates for a healthy, common sense approach to parenting. She is a passionate, positive voice for children of all ages, and her wisdom is an invaluable resource for parents, teachers, early educators and anyone seeking to improve their lives and relationships. For more advice on common parenting issues, please check out Janet's best-selling books on audio, FREE with a 30-day trial membership at Audible (adbl.co/2OBVztZ). Also, her exclusive audio series "Sessions" is available for download. This is a collection of recorded one-on-one consultations with parents discussing their most immediate and pressing concerns (www.SessionsAudio.com). In this episode: Janet responds to an email from a parent asking how to prepare her 3-year-old for an enormous transition, in this case the arrival of a new sibling. Since her daughter brushes off direct questions about her feelings, this mom has decided she can’t really grasp it yet, but she’s anticipating limits and patience testing. She wants to know: “Is there any way I can help her prepare and make this transition less drastic?” For more advice on common parenting issues, please check out Janet's best-selling books on audio, FREE with a 30-day trial membership at Audible (adbl.co/2OBVztZ). Also, her exclusive audio series "Sessions" is available for download. This is a collection of recorded one-on-one consultations with parents discussing their most immediate and pressing concerns (SessionsAudio.com). In this episode: Janet responds to an email from a parent who says she feels like a failure when dealing with her two-year-old’s tantrums. She writes: “We’ve been great at heading them off before they begin and recognizing why they’re happening, but we are completely at a loss what to do once we’re stuck with one.” She’s tried several different strategies without success. For more advice on common parenting issues, please check out Janet's best-selling books on audio, FREE with a 30-day trial membership at Audible (adbl.co/2OBVztZ). Also, her exclusive audio series "Sessions" is available for download. This is a collection of recorded one-on-one consultations with parents discussing their most immediate and pressing concerns (www.SessionsAudio.com). In this episode: Janet responds to a parent whose daughter decided at 4 years old that she didn’t like herself, chopped her hair short and switched out her wardrobe for boys’ clothes. While this mom has tried not to make a big issue of her daughter’s choices, now that she’s 6 years old she admits, “Deep down it bothers me that she seems to want to look like a boy.” She says she loves her daughter dearly and wants a great relationship with her. “How do I go about accepting who my daughter wants to be?” For more advice on common parenting issues, please check out Janet's best-selling books on audio, FREE with a 30-day trial membership at Audible (adbl.co/2OBVztZ). Also, her exclusive audio series "Sessions" is available for download. This is a collection of recorded one-on-one consultations with parents discussing their most immediate and pressing concerns (SessionsAudio.com). In this episode: Janet responds to an email from the exasperated mother of two boys who asks: “What do I do when I find my adorable children genuinely annoying?” She remembers a time when she was happy with them and enjoyed what felt like precious moments, but lately there’s been very little joy in her parenting experience, and she feels that their behavior is exacerbated by her attitude. “It breaks my heart,” she writes. She’s looking for tools to change her perspective. For more advice on common parenting issues, please check out Janet's best-selling books on audio, FREE with a 30-day trial membership at Audible (adbl.co/2OBVztZ). Also, her exclusive audio series "Sessions" is available for download. This is a collection of recorded one-on-one consultations with parents discussing their most immediate and pressing concerns (www.SessionsAudio.com). In this episode: Janet responds to a dad who’s feeling guilty for restraining his 3-year old daughter and forcibly brushing her teeth when she refused to do so herself. “I didn’t use hurtful force,” he writes, “but her protestations were so strong that I felt as if I was crossing a boundary.” This dad is wondering if there was another way he might have handled the situation. For more advice on common parenting issues, please check out Janet's best-selling books on audio, FREE with a 30-day trial membership at Audible (adbl.co/2OBVztZ). Also, her exclusive audio series "Sessions" is available for download. This is a collection of recorded one-on-one consultations with parents discussing their most immediate and pressing concerns (SessionsAudio.com). In this episode: Janet responds to a Facebook message from a parent who describes her 6-year-old as argumentative and resistant, and she’s running out of patience. She says, “ I recognize that he is testing limits and trying to establish his voice and independence in the world,” but she has other kids and feels her son’s questioning takes up too much of her time. She wonders if she should be flexible with him, or if that approach will just intensify his relentless push-back. For more advice on common parenting issues, please check out Janet's best-selling books on audio, FREE with a 30-day trial membership at Audible (adbl.co/2OBVztZ). Also, her exclusive audio series "Sessions" is available for download. This is a collection of recorded one-on-one consultations with parents discussing their most immediate and pressing concerns (www.SessionsAudio.com). In this episode: Janet responds to the parent of 8-month-old twins who says they are both very dependent on her, and she gets overwhelmed by her babies “complaining and crying at the same time.” Though she tries to respectfully acknowledge each twin, she worries that she isn’t being successful. The insight and advice Janet offers apply to all family situations, no matter how many children a parent is caring for. For more advice on common parenting issues, please check out Janet's best-selling books on audio, FREE with a 30-day trial membership at Audible (adbl.co/2OBVztZ). Also, her exclusive audio series "Sessions" is available for download. This is a collection of recorded one-on-one consultations with parents discussing their most immediate and pressing concerns (SessionsAudio.com). In this episode: A parent writes that her 3-year-old seems to intentionally ignore her when she asks him a question and she has to repeat herself several times. She doesn’t know if he’s misbehaving or if this is a result of his “hyper-focused personality,” and she says she sometimes loses her patience and shouts. For more advice on common parenting issues, please check out Janet's best-selling books on audio, FREE with a 30-day trial membership at Audible (https://adbl.co/2OBVztZ). Also, her exclusive audio series "Sessions" is available for download. This is a collection of recorded one-on-one consultations with parents discussing their most immediate and pressing concerns (www.SessionsAudio.com). In this episode: A parent writes that her 5-year-old scratched up her husband’s car with a rock, and the damage will cost thousands of dollars to repair. She and her husband are furious, of course, but they haven’t spoken to their son about the incident yet, and she’s wondering the best way to approach it. “We are both so mad,” she writes, “we don’t know what to do.” For more advice on common parenting issues, please check out Janet's best-selling books on audio at Audible (https://adbl.co/2OBVztZ). Her exclusive audio series "Sessions" is also available for download. This is a collection of recorded one-on-one consultations with parents discussing their most immediate and pressing concerns (SessionsAudio.com). In this episode: A parent writes that her 5-year-old is constantly asking, “Did I do a good job?” and seeking her parents’ validation. This mom acknowledges that her daughter’s world was rocked when her sister was born almost two years ago, and they’ve been working at supporting her to process her feelings in that regard. Now, she says, although her daughter has “let go a lot of her anger... I can’t help but wonder if it’s the result of being insecure in her relationship with us after her sister was born." For more advice on common parenting issues, please check out Janet's best-selling books on audio at Audible (https://adbl.co/2OBVztZ). Her exclusive audio series "Sessions" is also available for download. This is a collection of recorded one-on-one consultations with parents discussing their most immediate and pressing concerns (SessionsAudio.com). In this episode: The parent of a 5-year-old girl and 2.5-year-old boy describes their play as generally creative and happy, but she sometimes observes what she believes is “manipulative behavior and unkind talk during disagreements.” This mother is wondering if it’s appropriate to intervene and correct what she perceives as unhealthy behavior, or whether it’s just part of their personal and social development. For more advice on common parenting issues, please check out Janet's best-selling books on audio at Audible (https://adbl.co/2OBVztZ). Her exclusive audio series "Sessions" is also available for download. This is a collection of recorded one-on-one consultations with parents discussing their most immediate and pressing concerns (SessionsAudio.com). In this episode: Janet responds to an email from a parent whose 6-year-old boy has been hitting and pinching his younger sister and others, and she’s alarmed because he shows no remorse for his behavior. She says that she has tried to get her boy to talk about his feelings, but “he just shuts down and won’t talk to me.” She’s wondering how she might foster empathy in her son as well as encourage him to share his feelings. For more advice on common parenting issues, please check out Janet's best-selling books on audio at Audible (https://adbl.co/2OBVztZ). Her exclusive audio series "Sessions" is also available for download. This is a collection of recorded one-on-one consultations with parents discussing their most immediate and pressing concerns (SessionsAudio.com). In this episode: Janet responds to a question from a parent on her Facebook page whose 3-year-old is exhibiting what she describes as excessive emotional outbursts. “I’m trying to reassure myself that this is normal,” she writes. 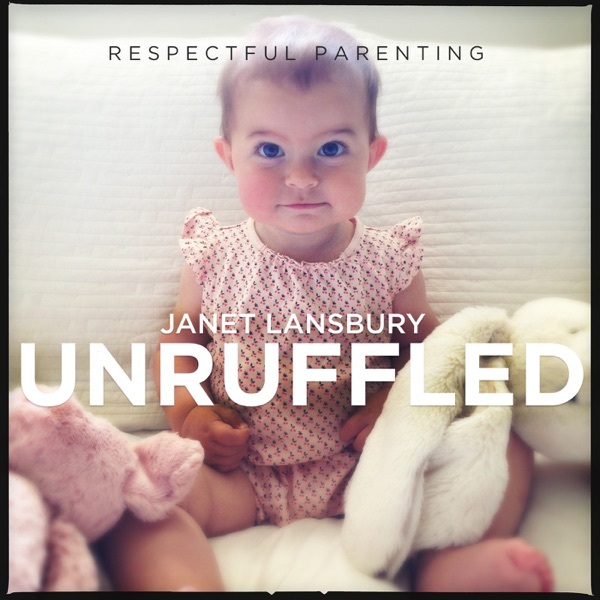 “It’s like we have to constantly walk on eggshells… I’d love some reassurance and guidance.” For more advice on common parenting issues, please check out Janet's best-selling books on audio at Audible (https://adbl.co/2OBVztZ). Her exclusive audio series "Sessions" is also available for download. This is a collection of recorded one-on-one consultations with parents discussing their most immediate and pressing concerns (www.SessionsAudio.com). In this episode: Janet responds to an email from a mom whose 3-year-old has a physical disorder. “Among other issues, he is very clumsy and often stumbles, trips, and falls.” Since this is going to be an ongoing issue for her son, and he’s just becoming aware of it, this mom is looking for ways to be supportive now and in the future. For more advice on common parenting issues, please check out Janet's best-selling books on audio at Audible (https://adbl.co/2OBVztZ). Her exclusive audio series "Sessions" is also available for download. This is a collection of recorded one-on-one consultations with parents discussing their most immediate and pressing concerns (SessionsAudio.com). In this episode: Janet responds to an email from a stay-at-home parent who feels his efforts to establish and maintain boundaries during the day are undercut when his spouse returns home from work. He believes the daily struggles he has with their daughter “are partly or greatly exacerbated by my wife’s interactions with her…. I’m drained as a parent and feeling resentful towards my spouse for letting a stubborn 3.5-year-old have her way.” For more advice on common parenting issues, please check out Janet's best-selling books on audio at Audible (https://adbl.co/2OBVztZ). Her exclusive audio series "Sessions" is also available for download. This is a collection of recorded one-on-one consultations with parents discussing their most immediate and pressing concerns (SessionsAudio.com). In this episode: A parent writes that she’s struggling with her 5-year-old’s demands to play with her. This mom says that although she understands the theory of Janet’s parenting approach, she has difficulty putting it into practice in the moment, and she finds herself getting frustrated and being unkind. “She irritates me, and I feel absolutely terrible for admitting that!” For more advice on common parenting issues, please check out Janet's best-selling books on audio at Audible (https://adbl.co/2OBVztZ). Her exclusive audio series "Sessions" is also available for download. This is a collection of recorded one-on-one consultations with parents discussing their most immediate and pressing concerns (SessionsAudio.com). In this episode: A parent writes that her 18-month-old “has been testing the limits with tantrums.” At home, this mom and her husband try to ignore the behavior or redirect. In public, however, they tend to give in to their daughter’s demands. She writes, “I’d hate for her to learn she get her way by throwing fits.” For more advice on common parenting issues, please check out Janet's books on audio at Audible (https://adbl.co/2OBVztZ). Her exclusive audio series "Sessions" is also available for download. This is a collection of recorded one-on-one consultations with parents discussing their most immediate and pressing concerns (www.SessionsAudio.com). In this episode: A parent describes her 6-year-old daughter as a perfectionist with no patience and a serious discomfort with feelings of failure. She says that all her well intentioned efforts to calm, comfort and coach only make things worse, so she wonders if Janet knows how she might help her daughter “face problems confidently on her own and foster a love of process.” For more advice on common parenting issues, please check out Janet's best-selling books on audio at Audible (https://adbl.co/2OBVztZ). Her exclusive audio series "Sessions" is also available for download. This is a collection of recorded one-on-one consultations with parents discussing their most immediate and pressing concerns (SessionsAudio.com). In this episode: A parent writes that her 2-year-old is deep in a "want to do it myself" phase. While she recognizes her son’s need for autonomy and self-sufficiency, she admits that she often runs out of patience, which results in him having a full blown meltdown or tantrum. She’s wondering how she might “set limits so it doesn’t take forever to do things but also respect his need for independence.” For more advice on common infant/toddler parenting issues, please check out Janet's books at Amazon and Audible (https://adbl.co/2OBVztZ). Also available for download, her audio series "Sessions" -- recorded consultations with parents discussing their most immediate and pressing concerns (SessionsAudio.com). In this episode: Janet continues her conversation with Laura Grace Weldon, author of “Free Range Learning,” about how parents can facilitate their children’s natural instincts to discover and learn in a conventional school system. Laura and Janet share their personal experiences as parents and discuss what they’ve learned while parenting their own children through a variety of school choices. For more advice on common infant/toddler parenting issues, please check out Janet's books at Amazon and Audible (https://adbl.co/2OBVztZ). Also available for download, her audio series "Sessions" -- recorded consultations with parents discussing their most immediate and pressing concerns (SessionsAudio.com). In this episode: A parent writes that her 3-year old has been having difficulties in play school -- hitting other kids, screaming, and not listening to the teacher. The behavior sometimes continues at home, and this mom admits she “can’t manage to stay calm every time, so sometimes I yell too.” Her primary concern is that her boy won’t be accepted in playschool, and she’s looking for some advice how to address his behavior. For more advice on common infant/toddler parenting issues, please check out Janet's books at Amazon and Audible (https://adbl.co/2OBVztZ). Also available for download, her audio series "Sessions" -- recorded consultations with parents discussing their most immediate and pressing concerns (SessionsAudio.com). In this episode: Janet is joined by Susan Stiffelman in a lively conversation about setting limits, tantrums, what your children want versus what they need, emotional resilience, having compassion for yourself, and the positive effects your confident leadership has on children as they become teens and young adults. Susan is a best-selling parenting author (“Parenting with Presence,” “Parenting without Power Struggles”), a marriage, family and child counselor, educational therapist, parent educator, and professional speaker. Janet will be joining Susan’s online Master Class on June 28th. Details and sign-up are at SusanStiffelman.com. For more advice on common infant/toddler parenting issues, please check out Janet's books at Amazon and Audible (https://adbl.co/2OBVztZ). Also available for download, her audio series "Sessions" -- recorded consultations with parents discussing their most immediate and pressing concerns (SessionsAudio.com). In this episode: Janet responds to an email from a father who says he and his wife have “done the best we can to follow the principles of positive parenting,” but their 4-year-old has been refusing to follow instructions and often seems to ignore them entirely. His behavior is particularly aggressive around their newborn, so this dad is struggling to find a way to get through to his son. For more advice on common infant/toddler parenting issues, please check out Janet's books at Amazon and Audible (https://adbl.co/2OBVztZ). Also available for download, her audio series "Sessions" -- recorded consultations with parents discussing their most immediate and pressing concerns (SessionsAudio.com). In this episode: A mother writes that her toddler son “can’t keep his hands off” his 10-month old sister. She describes his demeanor as a mixture of excitement and affection, but she also senses an undertone of aggression. She wants them both to feel her support when they’re together in one space, but she finds herself either holding him back or removing the baby altogether. “I’d like to find a safe way for them to engage with each other,” she writes. “At least sometimes.” For more advice on common parenting issues, please check out Janet's best-selling books on audio at Audible (https://adbl.co/2OBVztZ). Her exclusive audio series "Sessions" is also available for download. This is a collection of recorded one-on-one consultations with parents discussing their most immediate and pressing concerns (SessionsAudio.com). In this episode: Janet speaks with pioneering homeschool practitioner and advocate Laura Grace Weldon, author of the best-selling book Free Range Learning – How Homeschooling Changes Everything. Laura’s experiences capture the essence of how children learn best and gain competence, self-confidence, maturity and wisdom. She and Janet find common ground in their respect for the natural learning process of every child. For more advice on common infant/toddler parenting issues, please check out Janet's books at Amazon and Audible. Also available for download, her audio series "Sessions" -- recorded consultations with parents discussing their most immediate and pressing concerns (SessionsAudio.com). In this episode: Janet answers an email from a parent whose 3-year-old is having difficulty with transitions, especially getting dressed in the morning for pre-school. She’s tried several different approaches, but without success, and every morning ends in a struggle. She writes: “I feel like we are stuck in this weekday morning drama and don’t know what to do differently. Please help!” For more advice on common infant/toddler parenting issues, please check out Janet's books at Amazon and Audible (https://adbl.co/2OBVztZ). Also available for download, her audio series "Sessions" -- recorded consultations with parents discussing their most immediate and pressing concerns (SessionsAudio.com). In this episode: A parent who describes her 3-year-old as “bright and spirited… a sweet girl” has noticed lately in certain social situations that her daughter will flatly reject friendly overtures from peers. This makes the parent very uncomfortable, but she isn’t sure how or if to intervene. She writes, “I am so torn between accepting and trusting her and wanting to teach her to be nice to others.” For more advice on common infant/toddler parenting issues, please check out Janet's books at Amazon and Audible. Also available for download, her audio series "Sessions" -- recorded consultations with parents discussing their most immediate and pressing concerns (SessionsAudio.com). In this episode: A parent has noticed positive results from limiting her daughter’s TV time, and now she wants to remove all screens from her daily routine. “I’d really love some advice on how to go about this,” she writes, “and what to say when explaining why this change is happening.” For more advice on common infant/toddler parenting issues, please check out Janet's books at Amazon and Audible. Also available for download, her audio series "Sessions" -- recorded consultations with parents discussing their most immediate and pressing concerns (SessionsAudio.com). In this episode: Janet answers a question from a parent whose toddler resorts to hurting himself when he’s angry or frustrated, and she’s wondering if there are some “better options” to teach him when he’s expressing his emotions. For more advice on common infant/toddler parenting issues, please check out Janet's books at Amazon and Audible. Also available for download, her audio series "Sessions" -- recorded consultations with parents discussing their most immediate and pressing concerns (SessionsAudio.com). In this episode: Janet answers an email from a parent who feels her 16-month-old is more emotional and defiant with her than other care givers. She cites diaper changes as a particularly stressful example of his acting out and wonders, “Is this a sign that I am doing something wrong, or that I am a safe person to share emotions with?” For more advice on common infant/toddler parenting issues, please check out Janet's books at Amazon and Audible (adbl.co/2OBVztZ). Also available for download, her audio series "Sessions" -- recorded consultations with parents discussing their most immediate and pressing concerns (SessionsAudio.com). In this episode: A mother wonders when and how to react to her baby’s sounds of frustration, whether she should intervene in her child’s self-directed play sessions or observe from a distance. “I don’t want to be her savior,” she writes, “but I don’t want her to feel unsupported either.” For more advice on common infant/toddler parenting issues, please check out Janet's books at Amazon and Audible (adbl.co/2OBVztZ). Also available for download, her audio series "Sessions" -- recorded consultations with parents discussing their most immediate and pressing concerns (www.SessionsAudio.com). In this episode: A mother writes that her child has started saying, “You’re not the boss of me!” when asked to help around the house. While both parents want their kids to feel that they are their own people, “at the end of the day, we do say what goes.” This mom is wondering how she can best respond. For more advice on common infant/toddler parenting issues, please check out Janet's books at Amazon and Audible (adbl.co/2OBVztZ). Also available for download, her audio series "Sessions" -- recorded consultations with parents discussing their most immediate and pressing concerns (SessionsAudio.com). In this episode: A parent says she feels helpless because her 2-year-old has been hitting other kids. She says her son loves people and enjoys playing with others, but parents are now keeping their kids away from him. She has tried several approaches, but nothing has worked, so she’s looking to Janet for some fresh advice. For more advice on common infant/toddler parenting issues, please check out Janet's books at Amazon and Audible (adbl.co/2OBVztZ). Also available for download, her audio series "Sessions" -- recorded consultations with parents discussing their most immediate and pressing concerns (SessionsAudio.com). In this episode: After reading Janet’s book, a mom is excited about the changes she’s made in her approach to setting limits and accepting her toddler’s emotions, but she’s concerned that her husband is not open to adjusting his parenting practices. She is hesitant to discuss it with him but wants “the harmony I feel to resonate through the three of us as a family.” For more advice on common infant/toddler parenting issues, please check out Janet's books at Amazon and Audible. Also available for download, her audio series "Sessions" -- recorded consultations with parents discussing their most immediate and pressing concerns (SessionsAudio.com). In this episode: Janet responds to the step parent of a three-and-a-half year old, who is concerned because the child's life is split between two households. She feels the situation “creates a very confusing climate for the child, who is already in an overwhelming development stage." The advice Janet offers applies to any situation where children need to transition to new schedules or different types of care, i.e. childcare or school, the care of relatives or professionals, or even travel or holidays that might disrupt a child's daily routine. For more advice on common infant/toddler parenting issues, please check out Janet's books at Amazon and Audible, and her audio series "Sessions" -- recorded consultations with parents discussing their most immediate and pressing concerns (SessionsAudio.com). In this episode: A mother laments the close relationship she used to enjoy with her daughter before having another child. Lately, her daughter has been testing limits, and she has found herself losing both her patience and her temper. “I really don’t want to continue this way with my daughter.” She’s wondering if Janet has any advice how she can remain calm and confident when her daughter seems intent on pushing her buttons. For more advice on common infant/toddler parenting issues, please check out Janet's books at Amazon and Audible (https://adbl.co/2OBVztZ). Also available for download, her audio series "Sessions" -- recorded consultations with parents discussing their most immediate and pressing concerns (SessionsAudio.com). A parent describes the struggle she and her husband face with their 5-year-old when they try to go out together. Their boy cries and begs them not to leave, and though they’ve experimented with several approaches -- including “trying to be unruffled and say goodnight and leave swiftly” – none has worked. This mom says she finds the process exhausting and is hoping Janet has some suggestions. For more advice on common infant/toddler parenting issues, please check out Janet's books at Amazon and Audible (https://adbl.co/2OBVztZ). Also available for download, her audio series "Sessions" -- recorded consultations with parents discussing their most immediate and pressing concerns (SessionsAudio.com). In this episode: The parent of a 4-year-old is concerned that her boy won't poop on the toilet and wonders what she can do to encourage him. She realizes that it’s a sensitive topic and she wants to respectfully help him “without adding to the issue.” For more advice on common infant/toddler parenting issues, please check out Janet's books at Amazon and Audible, and her audio series "Sessions" -- recorded consultations with parents discussing their most immediate and pressing concerns (info @ SessionsAudio.com). In this episode: Janet responds to an email from the parent of a 2-year-old who says that when another child cries, her daughter joins in and becomes inconsolable, often continuing even after the other child has recovered. She’s wondering if this is “normal” and is anxious for some advice. She says they have some kids’ events coming up, “and I am dreading them.” For more advice on common infant/toddler parenting issues, please check out Janet's books at Amazon and Audible, and her audio series "Sessions" -- recorded consultations with parents discussing their most immediate and pressing concerns (info @ SessionsAudio.com). In this episode: Janet and her guest Tasha Lansbury, LICSW, consider the role of self-care and mindfulness as elements of easier, happier, more successful parenting. Tasha has been in private practice for over 3 decades and describes herself as “an enthusiastic psychotherapist and wide-eyed mother.” She believes mindfulness is a parenting essential and offers some simple tools to handle common stressful situations. For more advice on common infant/toddler parenting issues, please check out Janet's books at Amazon and Audible (https://adbl.co/2OBVztZ). Also available for download, her audio series "Sessions" -- recorded consultations with parents discussing their most immediate and pressing concerns (SessionsAudio.com). In this episode: A mother of three kids writes that she’s irritated and confused by her six-and-a-half year old daughter’s constant demands for attention and her refusal to cooperate. She believes that her daughter is old enough to comply with simple requests, but “she won’t listen, and she won’t do it until I shout or scold her.” For more advice on common infant/toddler parenting issues, please check out Janet's books at Amazon and Audible (adbl.co/2OBVztZ). Also available for download, her audio series "Sessions" -- recorded consultations with parents discussing their most immediate and pressing concerns (SessionsAudio.com). In this episode: The mother of a 3-year-old feels she has very little control over some of her son’s unpleasant behavior, and she’s struggling to come up with appropriate responses. In her email to Janet, she cites examples like screaming, running away when she’s trying to dress him, and throwing himself to the ground. “How do I set boundaries around things like this that I feel I have no influence over?” For more advice on common infant/toddler parenting issues, please check out Janet's books at Amazon and Audible (adbl.co/2OBVztZ). Also available for download, her audio series "Sessions" -- recorded consultations with parents discussing their most immediate and pressing concerns (SessionsAudio.com). In this episode: Janet responds to two comments from one of her website articles, “Independent Play: 5 Hints to Get the Ball Rolling”(http://bit.ly/2iEdOPV). First, a mother’s question about reading and her 13-month-old’s demands for attention when she has other things to do; and then another mom’s critique of Janet’s advice. Both comments bring up helpful points but highlight certain misconceptions about Magda Gerber and Janet’s parenting approach. For more advice on common infant/toddler parenting issues, please check out Janet's books at Amazon and Audible (adbl.co/2OBVztZ). Also available for download, her audio series "Sessions" -- recorded consultations with parents discussing their most immediate and pressing concerns (SessionsAudio.com). In this episode: Janet responds to an email from a parent whose son has been coming home from daycare recently and telling her he can’t do certain tasks and activities. “It disturbs me,” she writes. “I just want him to do his best and be proud of himself.” She says his attitude seems to be getting worse, and she’s seeking advice how to respond to him. For more advice on common infant/toddler parenting issues, please check out Janet's audio series "Sessions", her private recorded consultations with parents discussing their most immediate and pressing concerns. Find out more at: SessionsAudio.com. In this episode: Janet responds to a mother who writes that she tries to sportscast disagreements between her older two children, but since the 2-year-old isn’t verbal yet, she’s wondering how to sportscast situations effectively without making assumptions about what her boy may be thinking or feeling in that moment. For more advice on common infant/toddler parenting issues, please check out Janet's audio series "Sessions", her private recorded consultations with parents discussing their most immediate and pressing concerns. Find out more at: SessionsAudio.com. In this episode: Janet responds to the mother of an almost 3-year-old who says she used to appreciate and encourage her son’s boundless energy, but now that he has a new sibling, he’s having a lot of trouble sitting in his chair to eat, dressing, and following basic direction. This mom has found herself yelling and threatening lately, and she’s disappointed in herself. “This is not how I saw myself with him.” For more advice on common infant/toddler parenting issues, please check out Janet's books at Amazon and Audible (adbl.co/2OBVztZ). Also available for download, her audio series "Sessions" -- recorded consultations with parents discussing their most immediate and pressing concerns (SessionsAudio.com). In this episode: The mother of a 23-month old girl writes that she and her husband recently spent a week with some relatives and their 2.5-year-old in a shared house. This mom says her daughter had always been “a joy to be round,” but now she’s imitating the negative behavior of the other toddler, whining and yelling, and she’s wondering how to best respond. For more on common infant/toddler parenting issues, please check out Janet's audio series "Sessions", her private recorded consultations with parents discussing their most immediate and pressing concerns. Find out more at: SessionsAudio.com. In this episode: Janet responds to an email from a mom who says she is good about accepting her sensitive boy’s feelings without trying to fix them, but she also wants him to be emotionally resilient. She’d like Janet’s advice about how to “teach him to bounce back when others hurt his feelings.” For more advice on common infant/toddler parenting issues, please check out Janet's books at Amazon and Audible (adbl.co/2OBVztZ). Also available for download, her audio series "Sessions" -- recorded consultations with parents discussing their most immediate and pressing concerns (SessionsAudio.com). In this episode: Janet is joined by Lisa Sunbury to provide insight and answers to a mom who says she is spending hours every night trying to get her 21-month-old to sleep. Her daughter refuses to stay in her bed alone, and this mom is frustrated and sleep deprived. For more on common infant/toddler parenting issues, please check out Janet's audio series "Sessions", her private recorded consultations with parents discussing their most immediate and pressing concerns. Find out more at: SessionsAudio.com. In this episode: Janet responds to a mom whose 21-month old son has become possessive about toys, and she’s worried that he’s showing aggression towards other kids. “I don’t know what to do,” she writes, “and I am so scared that through my mistakes of parenting he will become a bully.” For more advice on common infant/toddler parenting issues, please check out Janet's books at Amazon and Audible (adbl.co/2OBVztZ). Also available for download, her audio series "Sessions" -- recorded consultations with parents discussing their most immediate and pressing concerns (SessionsAudio.com). Can a Mom's Empathy Be Patronizing? In this episode: Janet responds to an email from a mother who says her husband gets irritated when she acknowledges the feelings of their 16 month old son. She writes: “He says it feels very patronizing, and that if someone suggested to him what his feelings were, he would get mad.” This mom wonders how to respond to her husband’s attitude and whether she’s using the right language when acknowledging their son’s feelings. For more on common infant/toddler parenting issues, please check out Janet's audio series "Sessions", her recorded consultations with parents discussing their most immediate and pressing concerns. Find out more at: SessionsAudio.com. In this episode: Janet responds to a mother struggling to moderate her toddler’s enthusiastic, energetic interactions with his 7 month old sister. She believes that her son means well, but she’s afraid his play is too intense. “I want to encourage sibling play, but how do I get him to understand he can’t play that rough with her?” For more advice on common infant/toddler parenting issues, please check out Janet's books at Amazon and Audible (adbl.co/2OBVztZ). Also available for download, her audio series "Sessions" -- recorded consultations with parents discussing their most immediate and pressing concerns (SessionsAudio.com). In this episode: A dad is perplexed about how to best support his son when he gets hurt. “I have always tried to give him the space and freedom to express his emotions,” he writes, but lately his son has been rejecting support and insisting through tears that he is not hurt. This dad isn’t sure how to handle it. “I want him to know he can express his emotions in a safe way.” For more on common infant/toddler parenting issues, please check out Janet's audio series "Sessions", her recorded consultations with parents discussing their most immediate and pressing concerns. Find out more at: SessionsAudio.com. In this episode: A parent who works full time writes that her toddler son has recently become extremely clingy and whiny when she comes home. She knows that he’s testing her but doesn’t feel she handles it well, and she sometimes loses her cool. “I’m totally lost,” she says. “I’m very upset and feel I’m a bad mother.” For more advice on common infant/toddler parenting issues, please check out Janet's books at Amazon and Audible (adbl.co/2OBVztZ). Also available for download, her audio series "Sessions" -- recorded consultations with parents discussing their most immediate and pressing concerns (SessionsAudio.com). In this episode: The mother of a 2.5 year old writes that her boy gets frustrated easily when he attempts new things, and then gets angry and “demands I do it for him.” She says she tries to be encouraging and accepting of his emotions, but she wants to know if Janet has any suggestions how she might communicate more effectively with her son. For more on common infant/toddler parenting issues, please check out Janet's audio series SESSIONS, her recorded consultations with parents discussing their most immediate and pressing concerns. Find out more at: SessionsAudio.com. This podcast was sponsored by Audible. "Terrified I've Damaged My Spirited Daughter"
In this episode: The mother of two boys feels they are constantly testing her and always at her side demanding attention. They won’t allow her a moment to handle the daily chores like laundry or cooking, never mind her personal needs. “They think it’s funny, “ she writes, “and I undoubtedly lose my patience. I feel like they just don’t listen to whatever limit I’ve set.” For more advice on common infant/toddler parenting issues, please check out Janet's books at Amazon and Audible (adbl.co/2OBVztZ). Also available for download, her audio series "Sessions" -- recorded consultations with parents discussing their most immediate and pressing concerns (SessionsAudio.com). In this episode: Janet responds to an email from the mother of an almost-3-year-old boy who has started asking if she is happy, usually after he’s done something wrong. This mom admits that she does freely show her emotions “because I think that is a healthy thing,” but she doesn’t want her son to be so concerned about her reactions and moods. For more advice on common infant/toddler parenting issues, please check out Janet's books at Amazon and Audible (adbl.co/2OBVztZ). Also available for download, her audio series "Sessions" -- recorded consultations with parents discussing their most immediate and pressing concerns (SessionsAudio.com). In this episode: A mother writes that she and her husband are frustrated that they can’t share a peaceful meal with their toddler. They’ve tried a number of different set-ups, but their son ends up throwing tantrums and food. “I don’t enjoy meals,” this mom says, and she’s looking for a new approach. For more advice on common infant/toddler parenting issues, please check out Janet's books at Amazon and Audible (https://adbl.co/2OBVztZ). Also available for download, her audio series "Sessions" -- recorded consultations with parents discussing their most immediate and pressing concerns (SessionsAudio.com). In this episode: A mom who’s been carrying her 5-month-old on her back is now trying to get her daughter to spend time playing on her own. So far, it isn’t working for either of them, and this mom is frustrated and looking for solutions. “My back would adore a break,” she writes. “And I want her to be the happiest, most confident baby she can be.” For more advice on common infant/toddler parenting issues, please check out Janet's books at Amazon and Audible (adbl.co/2OBVztZ). Also available for download, her audio series "Sessions" -- recorded consultations with parents discussing their most immediate and pressing concerns (SessionsAudio.com). In this episode: A mother confides to Janet that she is concerned that her son’s roughhousing on the playground has become too aggressive. “I don’t want to label,” she writes, “but this looks like the beginnings of future bullying behavior to me.” She’s alarmed by her son’s aggressiveness, and her instinct is to intervene, yet she wonders if she’s overreacting. For more advice on common parenting issues, please check out Janet's best-selling books on audio at Audible (https://adbl.co/2OBVztZ). Her exclusive audio series "Sessions" is also available for download. This is a collection of recorded one-on-one consultations with parents discussing their most immediate and pressing concerns (SessionsAudio.com). Why Not Swat My Toddler's Hand? In this episode: Janet responds to an email from a mom who says that lately she has found herself yelling at her 3-year-old, who’s been having a difficult time since the birth of her brother. She realizes that yelling is not helping her daughter, and it’s not the mother she wants to be. “I’ve really lost control of this parenting thing and need a reset.” For more advice on common infant/toddler parenting issues, please check out Janet's books at Amazon and Audible (https://adbl.co/2OBVztZ). Also available for download, her audio series "Sessions" -- recorded consultations with parents discussing their most immediate and pressing concerns (SessionsAudio.com). In this episode: Janet responds to a question from her Facebook page from the mother of a 20-month-old who’s started to show his dissatisfaction with various situations by screaming, crying, and in some cases hitting. This mom says she typically handles it “by talking through his frustration with him," and she's wondering if there's more she could be doing to support him. For more advice on common infant/toddler parenting issues, please check out Janet's books at Amazon and Audible (adbl.co/2OBVztZ). Also available for download, her audio series "Sessions" -- recorded consultations with parents discussing their most immediate and pressing concerns (SessionsAudio.com). In this episode: The mother of a 4-year-old says her son wants to stay and play with his friend after school, and when she says it’s time to go, he either runs away or she leaves with him screaming. She admits that she struggles with setting limits and wonders how she can be more successful in avoiding this daily drama. For more advice on common infant/toddler parenting issues, please check out Janet's books at Amazon and Audible (adbl.co/2OBVztZ). Also available for download, her audio series "Sessions" -- recorded consultations with parents discussing their most immediate and pressing concerns (SessionsAudio.com). In this episode: A mother writes that she “feels like a failure” for having provided constant stimulation to her baby. Now 4 years old, she says her son lacks self-confidence. She describes him as insecure, easily embarrassed and reluctant to try new things, which she blames on herself for having “dictated” his play as a baby. She doesn’t know what to do and is looking for advice. For more advice on common infant/toddler parenting issues, please check out Janet's books at Amazon and Audible (adbl.co/2OBVztZ). Also available for download, her audio series "Sessions" -- recorded consultations with parents discussing their most immediate and pressing concerns (SessionsAudio.com). Shouldn't a 6-Year-Old Know Better? In this episode: Janet answers a question about boundaries and limit testing from the mother of a 6-year-old. Her husband believes certain behaviors are unacceptable because their boy is old enough “to know better,” but this mom disagrees and is looking for some clarity about realistic expectations for a child their son’s age. For more advice on common parenting issues, please check out Janet's best-selling books on audio at Audible (https://adbl.co/2OBVztZ). Her exclusive audio series "Sessions" is also available for download. This is a collection of recorded one-on-one consultations with parents discussing their most immediate and pressing concerns (SessionsAudio.com). In this episode: A mom writes to describe her 13-month-old’s first tantrum, saying that after several gentle and respectful attempts to manage the situation, she “froze and didn't know what to do.” She’s wondering how she might have handled the situation differently so she can be better prepared for the inevitable ‘next time’. For more advice on common infant/toddler parenting issues, please check out Janet's books at Amazon and Audible (https://adbl.co/2OBVztZ). Also available for download, her audio series "Sessions" -- recorded consultations with parents discussing their most immediate and pressing concerns (SessionsAudio.com). In this episode: A mom worries that her toddler has developed an irrational fear of people, both strangers and family friends. She says that in some situations her daughter will cry uncontrollably for 10 minutes or more. “It’s awful to see our daughter so upset, and I’m desperate to know the best way to handle this.” For more advice on common infant/toddler parenting issues, please check out Janet's books at Amazon and Audible (adbl.co/2OBVztZ). Also available for download, her audio series "Sessions" -- recorded consultations with parents discussing their most immediate and pressing concerns (SessionsAudio.com). In this episode: A mother is alarmed by her feelings of animosity towards her demanding 5-year-old. She admits that there have been a lot of transitions in the household, but she’s run out of patience with her daughter's constant complaints and is “turning into the kind of mother I’ve always hated… I want to hit the reset button but can’t find it.” For more advice on common infant/toddler parenting issues, please check out Janet's books at Amazon and Audible (adbl.co/2OBVztZ). Also available for download, her audio series "Sessions" -- recorded consultations with parents discussing their most immediate and pressing concerns (SessionsAudio.com). In this episode: A mother of three young boys is struggling to deal with their demands and the conflicts between them. If she accommodates one boy’s wishes, the other two react with jealousy and fighting. She’s wondering how to cope with her situation when “everything feels like a compromise.” For more advice on common infant/toddler parenting issues, please check out Janet's books at Amazon and Audible (https://adbl.co/2OBVztZ). Also available for download, her audio series "Sessions" -- recorded consultations with parents discussing their most immediate and pressing concerns (SessionsAudio.com). In this episode: A mom writes that her 3-year-old has become whiny, demanding and clingy since her separation from the boy’s father and their move to a new home. At this point, she says, “I do not enjoy being with him at all” and she wonders if Janet has advice for how to re-establish their relationship so she can enjoy being with him again. For more advice on common infant/toddler parenting issues, please check out Janet's books at Amazon and Audible (adbl.co/2OBVztZ). Also available for download, her audio series "Sessions" -- recorded consultations with parents discussing their most immediate and pressing concerns (SessionsAudio.com). Janet responds to a letter from a pregnant mom who struggled mightily with her first child, whom she describes as a Velcro baby. Though her daughter has developed into a “happy, confident and wonderful little girl,” the experience took a toll on this mother and left her feeling insecure as a parent and “frankly terrified of having the same experience again.” For more advice on common infant/toddler parenting issues, please check out Janet's books at Amazon and Audible (adbl.co/2OBVztZ). Also available for download, her audio series "Sessions" -- recorded consultations with parents discussing their most immediate and pressing concerns (SessionsAudio.com). In this episode: Janet responds to a mother who is feeling utterly defeated by her 2.5-year-old’s round-the-clock demands for her attention. She and her husband are simply spent, feeling “tired, frustrated and miserable.” For more advice on common infant/toddler parenting issues, please check out Janet's books at Amazon and Audible (https://adbl.co/2OBVztZ). Also available for download, her audio series "Sessions" -- recorded consultations with parents discussing their most immediate and pressing concerns (SessionsAudio.com). In this episode: A mom with 4 and 6 year old girls is worried that playdates at the park with friends are too rough, sometimes downright dangerous. She says that in many instances children get hurt and someone ends up in tears. This mom is wondering how, when, or if to intervene to protect her kids. For more advice on common parenting issues, please check out Janet's best-selling books on audio at Audible (https://adbl.co/2OBVztZ). Her exclusive audio series "Sessions" is also available for download. This is a collection of recorded one-on-one consultations with parents discussing their most immediate and pressing concerns (SessionsAudio.com). In this episode: Janet responds to a mother who describes her husband and herself as “very healthy, active people.” They have been trying to encourage their almost 5-year-old to pursue physical activities by providing lessons and classes but are frustrated because he loses interest. They are wondering whether to push their agenda or just let it go. For more advice on common parenting issues, please check out Janet's best-selling books on audio at Audible (https://adbl.co/2OBVztZ). Her exclusive audio series "Sessions" is also available for download. This is a collection of recorded one-on-one consultations with parents discussing their most immediate and pressing concerns (SessionsAudio.com). In this episode: Janet is joined by Dr. Meghan Owenz and her husband Adam to discuss some of the truths and misconceptions about children and screens. Meghan is a university professor teaching classes on counseling and infant and child development. She and Adam write about the latest research on their website ScreenFreeParenting and present a host of screen-free alternatives to keep children engaged and learning. For more advice on common infant/toddler parenting issues, please check out Janet's books at Amazon and Audible (https://adbl.co/2OBVztZ). Also available for download, her audio series "Sessions" -- recorded consultations with parents discussing their most immediate and pressing concerns (SessionsAudio.com). In this episode: A frustrated mom who describes herself as “desperate for help” seeks advice about her persistent, high-energy 2.5-year-old, who dominates her and her husband's time and energy with relentless demands to be the focus of their universe -- all day, every day. For more advice on common infant/toddler parenting issues, please check out Janet's books at Amazon and Audible (https://adbl.co/2OBVztZ). Also available for download, her audio series "Sessions" -- recorded consultations with parents discussing their most immediate and pressing concerns (SessionsAudio.com). In this episode: A mom is struggling with her 3.5 year old’s “controlling and oppositional behavior.” She’s trying to find reasonable boundaries to avoid big confrontations over minor issues when her daughter insists on calling the shots. For more advice on common infant/toddler parenting issues, please check out Janet's books at Amazon and Audible (https://adbl.co/2OBVztZ). Also available for download, her audio series "Sessions" -- recorded consultations with parents discussing their most immediate and pressing concerns (SessionsAudio.com). In this episode: A mom describes her daughter as “super easy, independent and happy” at school but emotional and defiant at home. She suspects her child is going through a “development leap” that will pass (she hopes!) but wonders how to handle her behavior in the meantime. For more advice on common infant/toddler parenting issues, please check out Janet's books at Amazon and Audible (https://adbl.co/2OBVztZ). Also available for download, her audio series "Sessions" -- recorded consultations with parents discussing their most immediate and pressing concerns (SessionsAudio.com). Should I Teach My Child to Say 'No'? In this episode: Janet responds to a letter from a single working mother who describes her relationship with her 4-year old as close and respectful, yet her daughter’s chronically defiant behavior is exhausting and concerning. This mum is overwhelmed and is desperately seeking advice and hope. For more advice on common infant/toddler parenting issues, please check out Janet's books at Amazon and Audible (https://adbl.co/2OBVztZ). Also available for download, her audio series "Sessions" -- recorded consultations with parents discussing their most immediate and pressing concerns (SessionsAudio.com). In this episode: Janet offers advice to a mother of nine month old twins. The boy is physically active and social and seeks her engagement. The girl is content to play independently without much interaction or feedback, and the mom is worried that she may not be giving her enough attention. For more advice on common infant/toddler parenting issues, please check out Janet's books at Amazon and Audible (adbl.co/2OBVztZ). Also available for download, her audio series "Sessions" -- recorded consultations with parents discussing their most immediate and pressing concerns (SessionsAudio.com). In this episode: Janet advises a worried mother whose child's behavior seems to have taken a turn for the worse. For more advice on common infant/toddler parenting issues, please check out Janet's books at Amazon and Audible (adbl.co/2OBVztZ). Also available for download, her audio series "Sessions" -- recorded consultations with parents discussing their most immediate and pressing concerns (SessionsAudio.com). Sensitive Boy Doesn't Like Hearing "No"
In this episode: A father is concerned about his 3-year-old’s sensitive reaction to hearing the word ‘no’. He senses that his boy feels punished or that he has done something wrong, so he wonders if there’s something he can adjust in his delivery. For more advice on common infant/toddler parenting issues, please check out Janet's books at Amazon and Audible (adbl.co/2OBVztZ). Also available for download, her audio series "Sessions" -- recorded consultations with parents discussing their most immediate and pressing concerns (SessionsAudio.com). In this episode: Janet answers a letter from an expecting mother whose 2.5 year old daughter has become wantonly defiant, especially during various extracurricular classes, and her antics are leading to some potentially dangerous situations. This mom feels like she’s being baited and wants the testing to stop. For more advice on common infant/toddler parenting issues, please check out Janet's books at Amazon and Audible (adbl.co/2OBVztZ). Also available for download, her audio series "Sessions" -- recorded consultations with parents discussing their most immediate and pressing concerns (SessionsAudio.com). Helping Your Child Say "I'm Sorry"
In this episode: The mother of a four-year-old is frustrated that her child will never say “I’m sorry" when he's done something wrong. She has tried both gentle and more forceful approaches, as well as attempting to help him understand the spirit and intent of an apology, all to no effect. For more advice on common infant/toddler parenting issues, please check out Janet's books at Amazon and Audible (https://adbl.co/2OBVztZ). Also available for download, her audio series "Sessions" -- recorded consultations with parents discussing their most immediate and pressing concerns (SessionsAudio.com). In this episode: A worried mom asks Janet what she can do to guide and support her 2-year-old daughter through an irrational fear. For more advice on common infant/toddler parenting issues, please check out Janet's books at Amazon and Audible (adbl.co/2OBVztZ). Also available for download, her audio series "Sessions" -- recorded consultations with parents discussing their most immediate and pressing concerns (SessionsAudio.com). In this episode: Janet addresses a parent’s concerns about her daughter’s unwillingness to play independently. She seems to need constant stimulation and entertainment. For more advice on common infant/toddler parenting issues, please check out Janet's books at Amazon and Audible (adbl.co/2OBVztZ). Also available for download, her audio series "Sessions" -- recorded consultations with parents discussing their most immediate and pressing concerns (SessionsAudio.com). In this episode: Janet responds to a frequent reader request to introduce and summarize the RIE parenting approach. She begins in this podcast by discussing the first 3 basics she shared in her article "RIE Parenting Basics - 9 Ways To Put Respect Into Action". For more advice on common infant/toddler parenting issues, please check out Janet's books at Amazon and Audible (https://adbl.co/2OBVztZ). Also available for download, her audio series "Sessions" -- recorded consultations with parents discussing their most immediate and pressing concerns (SessionsAudio.com). In this episode: Janet responds to a mother whose son seems to grasp the concept of using the toilet, but he isn’t cooperating. She’s trying to be patient and understanding but also worried his resistance is becoming entrenched, so she’s looking to Janet for some potty pointers. For more advice on common infant/toddler parenting issues, please check out Janet's books at Amazon and Audible (adbl.co/2OBVztZ). Also available for download, her audio series "Sessions" -- recorded consultations with parents discussing their most immediate and pressing concerns (SessionsAudio.com). In this episode: A mother worries about her daughter’s displays of affection toward her friends, who aren’t always appreciative. She’s wondering how to explain the limits of physical love to her huggy daughter. For more advice on common infant/toddler parenting issues, please check out Janet's books at Amazon and Audible (adbl.co/2OBVztZ). Also available for download, her audio series "Sessions" -- recorded consultations with parents discussing their most immediate and pressing concerns (SessionsAudio.com). In this episode: A concerned mother writes that her 3-year-old seems to be in a constant state of frustration or anxiety, making outlandish demands and crying when she doesn’t get her way. While this mom tries to be compassionate, it’s getting more and more difficult, and she worries that her own postpartum anxiety may have modeled the behavior. She’s looking for healthy ways to help them both cope. For more advice on common infant/toddler parenting issues, please check out Janet's books at Amazon and Audible (https://adbl.co/2OBVztZ). Also available for download, her audio series "Sessions" -- recorded consultations with parents discussing their most immediate and pressing concerns (SessionsAudio.com). In this episode: Janet shares a recent exchange with a mom requesting "alternatives to time out when natural consequences aren’t appropriate." The parent wonders how to intervene with her toddler when she is possessive and aggressive around other kids. For more advice on common infant/toddler parenting issues, please check out Janet's books at Amazon and Audible (https://adbl.co/2OBVztZ). Also available for download, her audio series "Sessions" -- recorded consultations with parents discussing their most immediate and pressing concerns (SessionsAudio.com). In this episode: Janet replies to the parent of an active 7-month-old who worries that their otherwise respectful relationship is jeopardized by constant struggles at bedtime that are upsetting to her and her baby. For more advice on common infant/toddler parenting issues, please check out Janet's books at Amazon and Audible (adbl.co/2OBVztZ). Also available for download, her audio series "Sessions" -- recorded consultations with parents discussing their most immediate and pressing concerns (SessionsAudio.com). In this episode: Janet responds to a note from a mom who says her toddler is actively rejecting her husband's company and attentions, a situation which is hurtful to them both. For more advice on common infant/toddler parenting issues, please check out Janet's books at Amazon and Audible (adbl.co/2OBVztZ). Also available for download, her audio series "Sessions" -- recorded consultations with parents discussing their most immediate and pressing concerns (SessionsAudio.com). In this episode: a parent is having difficulty convincing her 10-month old that pulling mommy’s hair is not a good game, but her son is not getting the message. For more advice on common infant/toddler parenting issues, please check out Janet's books at Amazon and Audible (https://adbl.co/2OBVztZ). Also available for download, her audio series "Sessions" -- recorded consultations with parents discussing their most immediate and pressing concerns (SessionsAudio.com). In this episode: Janet shares an excerpt from her book “No Bad Kids: Toddler Discipline Without Shame” where she addresses a mom's frustration with her toddler’s new habit of constantly saying, "No!" In this episode: A concerned mom realizes she's been interfering in her baby's gross motor development by restricting movement and wonders if there are steps she can take to help get her baby get back on track. For more advice on common infant/toddler parenting issues, please check out Janet's books at Amazon and Audible (adbl.co/2OBVztZ). Also available for download, her audio series "Sessions" -- recorded consultations with parents discussing their most immediate and pressing concerns (SessionsAudio.com). In this episode: Janet addresses a parent's concerns about feeling “way over my limits with anger and frustration” when dealing with her children’s intense and noisy battles. For more advice on common infant/toddler parenting issues, please check out Janet's books at Amazon and Audible (adbl.co/2OBVztZ). Also available for download, her audio series "Sessions" -- recorded consultations with parents discussing their most immediate and pressing concerns (SessionsAudio.com). In this episode: Janet advises a parent who wants to help her easily frustrated two-year-old develop more patience. For more advice on common infant/toddler parenting issues, please check out Janet's books at Amazon and Audible (https://adbl.co/2OBVztZ). Also available for download, her audio series "Sessions" -- recorded consultations with parents discussing their most immediate and pressing concerns (SessionsAudio.com). When Children Are Defiant And "Disobedient"
In this episode: Janet considers a letter from a mother struggling with her toddler’s meltdowns and wondering how to connect with respect and compassion. For more, check out Janet's book, "No Bad Kids: Toddler Discipline Without Shame" on Audible (adbl.co/2OBVztZ). Also available for download, her audio series "Sessions" -- recorded consultations with parents discussing their most immediate and pressing concerns (SessionsAudio.com). In this episode: Janet responds to a letter from an exasperated mother whose toddler won’t cooperate at mealtime. For more advice on common infant/toddler parenting issues, please check out Janet's books at Amazon and Audible (adbl.co/2OBVztZ). Also available for download, her audio series "Sessions" -- recorded consultations with parents discussing their most immediate and pressing concerns (SessionsAudio.com). In this episode: A 3-year-old’s exasperated mother worries that her daughter’s contrarian behavior and desire to exert control over her peers is “damaging her reputation.” For more advice on common infant/toddler parenting issues, please check out Janet's books at Amazon and Audible (adbl.co/2OBVztZ). Also available for download, her audio series "Sessions" -- recorded consultations with parents discussing their most immediate and pressing concerns (SessionsAudio.com). In this episode: A mother of two is severely frazzled by her child’s incessant demands and arguing over boundaries. Our children’s persistent resistance will test the resolve of even the most confident, well-meaning parent, but it’s often our own reactions that determine if our child will ultimately accept our boundaries or continue to test us. For more, check out Janet's book, "No Bad Kids: Toddler Discipline Without Shame": amzn.to/1O1L7pu For more advice on common infant/toddler parenting issues, please check out Janet's books at Amazon and Audible (https://adbl.co/2OBVztZ). Also available for download, her audio series "Sessions" -- recorded consultations with parents discussing their most immediate and pressing concerns (SessionsAudio.com). In this episode: What it really means to connect with kids when we're guiding their behavior, and how to do it with empathy, calm, and respect. I share a complete guide to respectful discipline in my book "No Bad Kids: Toddler Discipline Without Shame," which is available at Amazon, iBooks, B&N, and also (and popular!) on Audible (adbl.co/2OBVztZ). Also available for download, my audio series "Sessions" -- recorded consultations with parents discussing their most immediate and pressing concerns (SessionsAudio.com). In this episode: The interventions we use when children battle over toys or engage in other social struggles are reflective of our perceptions of their abilities, as well as our general attitudes toward learning and ‘struggle’. Do we perceive babies, toddlers and preschoolers as basically capable? Or fragile and needy? Are our children born active, self-directed learners (as child specialist Magda Gerber asserted), or do they need us to manage their development from day one? Should we prevent children from struggling, avoid frustration and disappointment, or are age-appropriate conflicts healthy learning opportunities? My experiences working with infants and toddlers confirm Magda Gerber’s assertions about their competency and the benefits of allowing them to learn through conflict. For more advice on common infant/toddler parenting issues, please check out Janet's books at Amazon and Audible (adbl.co/2OBVztZ). Also available for download, her audio series "Sessions" -- recorded consultations with parents discussing their most immediate and pressing concerns (SessionsAudio.com).